Making Tax Digital - is your accounting software compliant? making tax digital (MTD) - is your accounting software compliant? 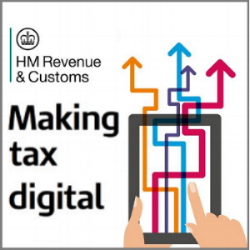 Effective from 1 April 2019, Making Tax Digital (MTD) is an HMRC initiative that will require all VAT-registered businesses with a threshold greater than £85,000 to keep digital records and submit VAT returns using compatible software. If you’re not currently using a cloud accounting package, you may find that it’s not compliant with Making Tax Digital (MTD) and if you currently use Excel or paper-based books to maintain your accounting records, you certainly won’t be MTD compliant. Accounting software providers have been busy updating their software to ensure they are compatible with MTD for VAT. HMRC have put together a list of software suppliers supporting Making Tax Digital for VAT but recommend you contact your accounting software provider to check whether your existing accounting package is compliant. Both Xero and Quickbooks have confirmed they will be MTD compliant. If you currently maintain your accounting records in Excel, paper-format, or an accounting software package that isn’t MTD compliant you need to be thinking about upgrading to a MTD compliant cloud-based accounting package as soon as possible. access to your accounting records in real-time anytime on any device. multi-user access - allowing you to outsource your bookkeeping and accounting if you want to free up time to allow you to focus on managing and growing your business. © 2018 Sprout Consulting Ltd, registered in England and Wales, no. 11469365.